NEW FIGURES SHOW there were 4,251 new-build social houses built in 2018, however the pace of the delivery of social housing as been described as “glacial” by the opposition. New builds for social housing came in slightly under target last year according to the latest government figures, which shows last year’s target was missed by 4%. According to the Department of Housing, in 2018, 4,251 social housing new builds were built, comprising 2,022 local authority builds and 1,388 Approved Housing Body (AHB) builds. The target for new-build social housing builds for 2018 was 4,409. However, the result is an increase on 2017 numbers, which amounted to just 2,297. New builds referred to in the data relate to houses built by local authorities and AHBs – including traditional construction, rapid build homes, and houses delivered through the government’s Part V mechanism. In total, 841 homes were delivered through the Part V, which requires 10% of land zoned for housing development to be used in the delivery of social and affordable housing. The latest data shows that 8,422 new homes were made into social housing stock through new builds, house buys, vacant homes brought back into stock and leasing programmes in 2018. Despite Housing Minister Eoghan Murphy heralding the latest figures, Sinn Féin housing spokesperson Eoin Ó Broin said “meeting targets is nothing to celebrate when the targets are set so low”. Given that more than 14,000 new households came onto the council housing lists in 2018 it is clear that the governments social housing targets will come nowhere near meeting existing or new demand. While the increase in new builds is welcome it is nothing to celebrate given that the targets were set so low in the first place. Last year, there were also 560 renovated vacant houses brought back into use, as well as 2,610 houses bought up by local bodies and 1,001 long-term leases. Due to concerns over the slow pace of housing delivery, opposition parties have been calling on local authorities to purchase houses in some areas. The department notes today that it now recognises that, in some parts of the country, acquiring or buying up homes is both quicker and delivers better value for money. In relation to criticism that the government is over reliant on the Housing Assistance Payment, Murphy said he believes the new social housing builds and the long-term leasing is helping “move away from HAP solutions”. Between 2017 and 2018, there was a 0% increase in HAP, which is a form of social housing support provided by all local authorities, which is paid to private landlords. While the minister welcomes that HAP has not dramatically increased, Ó Broin said the 2018 figures confirm “once again the government’s over reliance on private rented sector to meet social housing need”. He states that while there has not been an increase, a large part of all social housing supports delivered last year are made up of privately owned properties subsidised via HAP, RAS and leasing. The minister said HAP did not increase significantly in 2018, but all other delivery streams did. He maintained the plan to dramatically increase supply is working, but added that there is “a lot more work to do for those who are depending on us, not least those in emergency accommodation”. While there is no quick fix, he acknowledged, he said the government’s housing plan is now showing real progress in the delivery of new homes and new social housing homes. He also noted there has been a moderation in rents and property prices. 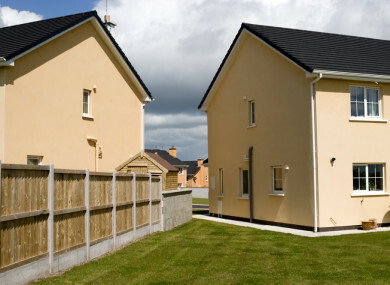 This month it was revealed that nationwide rents rose by an average of 9.8% in the 12 months to December 2018, according to the latest quarterly Rental Report by Daft.ie. House prices are expected to rise by around 5% in 2019 after stabilising in the last quarter of 2018 according to a recent end-of-year report. Ó ‘Broin said it is “disappointing” to see government continuing with the “questionable practice of wrongly categorising casual vacancies as voids”. “These are not new additions to the stock, but existing stock reflect after a tenants dies or moves on. They should not be included in the output figures,” he said. The Housing Department has previously denied accusations by the Sinn Féin housing spokesperson that it is “cooking the books” when it reports on vacant council housing. He called on the government to make “a real dent in the housing crisis” by doubling capital investment in social and affordable housing. “We need to see more investment and more ambitious targets,” he said. In addition to announcing the new figures this week, it is understood the minister has also moved to create new rules for families on the social housing lists. Families who turn down two offers of social housing will not get another one for five years under stricter rules. Email “Just over 4,000 new social houses built last year as target missed ”. Feedback on “Just over 4,000 new social houses built last year as target missed ”.